Welcome! 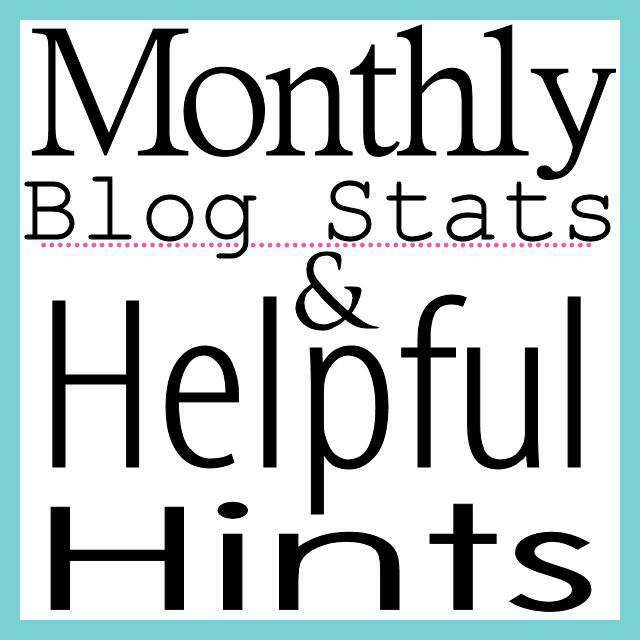 Its time for another monthly blog stats and helpful hints post. Just picking up a few helpful hints I hope will make a difference in our blogs growth in the future and keeping them in a Pinterest blogging board for future reference. I hope you will also join us in the Personal Goals and Priorities in 2014 linky and let us know how you are doing with your personal and blogging goals. More information to follow below. So lets get busy making your blog grow! The one thing I have not been able to work without when it comes to blogging is my blog planner. Before I discovered one I had little notes all over my desk, pages and pages of legal size notes that was never organized and stickie notes all over my the edge of my monitor. I realized this was not working and driving me nuts. I don’t like being unorganized when it comes to any kind of paper work. I started searching for printable blog planners and found quite a few free ones. I ended up taking sheets from each one I downloaded and just made my own version of a 2014 blog planner from all of those. But as the year passed along, I noticed I still needed some extra planning pages. So whats a blogging girl to do. So after a year of using several planner pages, changing out page after page and redesigning what I really needed to use in my own planner, here is what I came up with and what I consider the ultimate 2015 Blog Planner. I use a simple 1 inch clear front 3 ring binder because I found that I was constantly changing out sheets each month. You can slide the cover page on the front and in the spin area to make it your own. I print my pages on 32 pound paper. I found out early that printing on regular copy paper and using markers would bleed through. What a mess! Using 32 pound paper keeps that from happening and its strong enough to stay nice and flat in the notebook. Remember you will be opening your notebook so many times and you want paper that will last and hold up at the holes. I use monthly dividers for each month and plain dividers for extra sheets that I don’t necessarily use every month. Such as passwords (I had no idea I had so many username and passwords until I wrote them down), a listing of future projects, product wishlist and miscellaneous items. I used my Epson Label Maker for the labels on the plain dividers, but you can write on them also. I have some page protectors in the back to keep important website host information and other items I need to quickly glance at. I also have a large pencil pocket holder in the very front for my pens, paper clips, etc. I do use different colored pens to help me when it comes to putting ideas on the monthly calendar. I love these Paper Mate pens . I want to share this with my readers too! Just click on the Download link below to download. Its in a Zip form file with the PDF file for the planner and the cover is a JPG. Just pick and choose the forms you need for your blog and have fun!! I hope it helps you as much as it has helped me this past year. Was really pleased with the Sponsor Post offers for October. Stats are going up and Adsense is still showing progress. I am disappointed that my ranking with Google is still zero. But, I’m hoping in the next few months it will go up. If you have any questions about any of the items discussed, please let me know and be sure to check out our past posts for Blog Stats & Helpful Hints. How are your goals coming along so far? If you have a post about your goals, please join us below and you can also follow our group Pinterest board on Personal Priorities. This is great! You create the best stuff and I love how you share your monetization. I need to take time to look into these places. That’s what I say every month! I love how colorful it is! I would probably do better with a physical planner instead of everything on the computer calendar… Thanks for sharing! Thank you Jamie. I love color but I didn’t want this planner to be too busy. I tried using items online, but it didn’t work out for me. I hope this works out for you as well. I was just getting ready to make my own blog planner too. Most of yours will work for my needs. Thanks for sharing! Thank you Tiffiny. I hope it works out for you. I have printed out many blog planners and found that many don’t fit my thought process. Yours looks great for me. I love this blog post. I could easily do it while updating my “Sponsor Me” page. I just bought a 2015 daily planner/ calendar.. nothing fancy so I hope can incorporate all these great ideas into this. I hope this will work with what you already have Aimee. And thanks for stopping by. GREAT planner! I started blogging almost 6 months ago and find that I am in the sticky note phase, although I did upgrade and start jotting my ideas in a notebook. Lol! I love that your planner makes it super easy to categorize and really promotes organization. Thanks for the resource and I’m following you now! Oh wow this is great. I know so many people who were looking for this last week and I told someone to make their own. Love the break down because some of those planners cost an arm and a leg. Please spread the word Kita. I hope it will help others. That is a great planner. I need to get organized like that. YOu are inspiring. Thank you. Thanks Leigh. 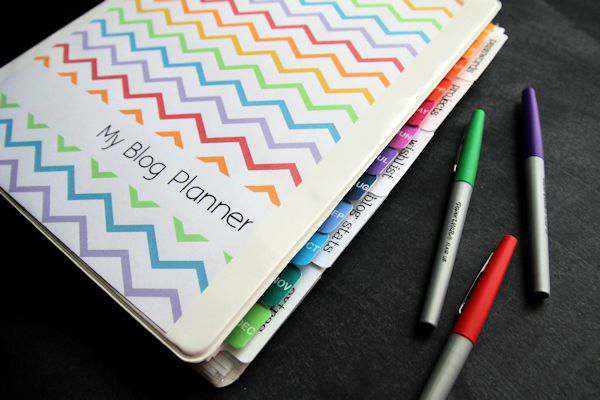 I hope it will help you to organize your blog planning. I’ve paid for several downloadable blog planners and have not been completely happy with any of them. Thanks for the tips, especially the one about printing on heavier paper. Duh! I should have thought of that. And thanks for the free blog planner! I know I’m going to love it! Me too Alli. Main reason why I made my own to fit me and I hope others. You just gave me the best gift!! This is amazing! Thank you Carmody. I hope the planner works for you. I am a newbie still. I have been blogging for 3 years but still learning about the whole making it a career thing. But I love this site! I am definitely saving and exploring some more! Thanks! so awesome that you’re sharing this valuable planner!!! thanks for sharing the stats info also. I hope it will help you out Aria and thanks for stopping by. This is great. I have set some plans in action recently for my blog. Having a planner would sure help to enforce those plans. I have no idea how to find out about my rankings. Please help. Thanks for sharing your stats. Hi Trish. I hope this will help you with your plans you have set up. You need to set your blog up with Google Analytics. That really helps you see what goes on in your blog daily. If you have wordpress, there is a plugin thats easy to use. That would be my first step. Alexa has a great toolbar app that lets you see rankings there too. I have Chrome but not sure if it works with other browsers. I hope that helps. Let me know. Thanks Tammy. This was very helpful. Oh wow, you’re SO organized! Thanks for sharing! Thanks so much for linking up your planner at the Pretty Pintastic Party! We’re featuring your post at our party this Friday- stop by and grab a button, and link up more of your amazing work! I love the breakdown Tammy. Will have to print this out and try for this year. I usually just write it in a notebook.But this looks great that I want to try. Thank you for linking up to the Bloggers Brags Pinterest Party. I have pinned your post to the Bloggers Brags Pinterest Board.Would love to see you again next Monday. Thank you Sahana. I hope the breakdown helps. Its only for the first year. I am a newbie to blogging and still trying to figure out the best way to organize my blog stuff. Thanks for the tips and printables. Hi Trish. I found a planner was the best way to keep up. The longer you blog and when you are offered sponsored posts and when they start coming more frequently, I have found the planner really helped me keep up with those. Thanks for the planner!!! Downloading now.. I appreciate it! Thank you so much, Tammy, for this fantastic free planner. I haven’t had time to create my own, and this is perfect; just what I need to begin blogging. Thank you again. Looks great! Love the color!! This is great. I love that you are open with your stats and monetization goals. I still have not signed up for adsense and not made a dime yet. Hoping I can to at least cover blog expenses. You’ve inspired me to get organized, can’t wait to get to my laptop to see your planner in action. Love the cover! Thank you Tanya for stopping by and I have linked up to your linky. Thank you Tanya. I hope the planner works for you. Thank you so much, love this planner, and your post was helpful in my plans for my own site for this year.